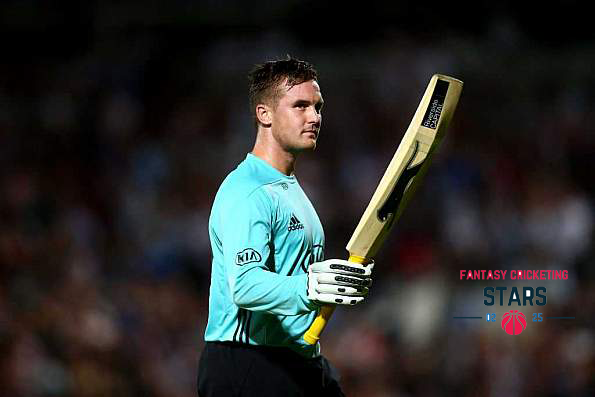 Jason Roy missed Surrey's final T20 Blast game against Glamorgan on Friday (August 17) due to self inflicted injury. After being dismissed for nought in the previous encounter ,Hampshire's Mujeeb Ur Rahman, Roy threw his bat and it bounced back to hit his face. Roy said that he is extremely embarrassed and apologetic to his team-mates and fans for this moment of stupidity. He further added that he has never been so motivated and so positive about his game, and he assure us that he will learn from my mistake as he is his own biggest critic. Due to a broken wrist sustained during training.Surrey who also lost all rounder Scott Brothwick before the Hampshire game.